In decision neuroscience, the different attributes of competing possible options are assumed to be assimilated into unitary values. This system has the advantage of allowing comparison of incommensurable items. The authors argue that this involves competition between different levels of representation in the brain. 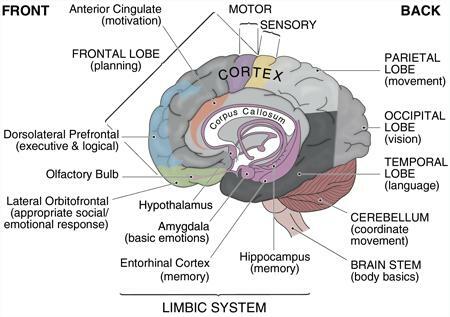 This involves signals in the striatum, parietal and prefrontal cortex. Choices between different options often involve situation where one option is preferred in relation to one set of attributes, but another option is preferred in relation to another set of attributes. When the brain compares options, it has been generally assumed that two options would be evaluated separately up to the point of reaching a unitary valuation, and then the unitary valuations would be compared. However, the authors here suggest that each attribute, within a set of attributes, might compete for which of them should be the most salient for a particular decision. A study showed that the intraparietal sulcus (IPS) signalled competition, as to which attribute was the most salient for a decision, while the medial frontal cortex dealt with integrated value signals. Thus competition is suggested to occur, both at the higher level of integrated values, and at the lower level of individual attributes. Where there was competition as to the evaluation of particular stimuli, there were strong connections between the IPS and the orbitofrontal, when assessing stimuli, but between the IPS and the dorsolateral striatum when assessing actions, with the dorsolateral striatum having connections to motoric structures. With assessment of integrated valuations, the ventral medial and the dorsomedial prefrontal cortex are more involved in the valuation.